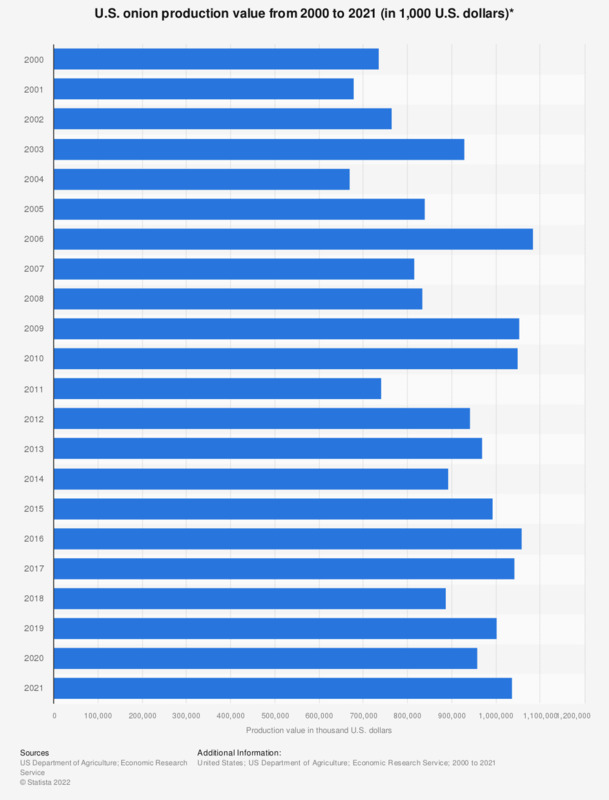 This statistic shows the production value of onions in the United States from 2000 to 2018. According to the report, the U.S. production value of utilized onions amounted to approximately 817.5 million U.S. dollars in 2018. * Price and value at point of first sale. Mostly for fresh market use, but includes some quantities used for processing. Includes storage crop onions harvested but not sold because of shrinkage and loss.